Chris Walby played junior football with the Winnipeg Rods for two years which lead to a football scholarship with Dickinson State University in North Dakota. In 1981, Walby was selected fourth overall in the CFL draft by the Montreal Alouettes. He played five games with the team in 1981 and finished the season with the Winnipeg Blue Bombers. 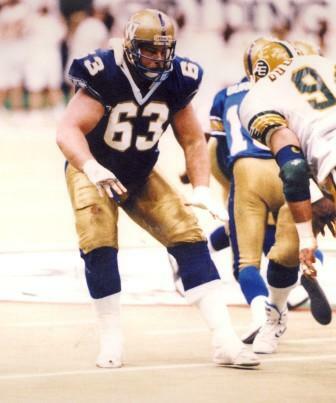 He would play the remainder of his career with the Blue Bombers. He won CFL All-Star honours nine times, Western All-Star honours four times and was named Eastern All-Star seven times. He won the Schenley Award for the Most Outstanding Offensive Lineman in 1987 and CFL Most Outstanding Offensive Lineman award in 1993. Walby played in five Grey Cup games, winning three times.